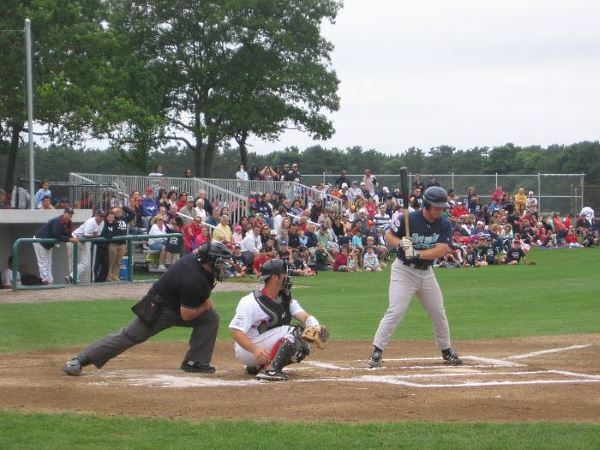 Cape Cod Baseball League Games: A Great Family Attraction! A "Don't Miss" Attraction for the Whole Family! Start with a balmy summer evening on Cape Cod. Then add the best of the best collegiate baseball players, swinging a wooden bat at blistering fastballs and sneaky curves. Now, sprinkle in a few Major League scouts in search of the next MLB superstar. 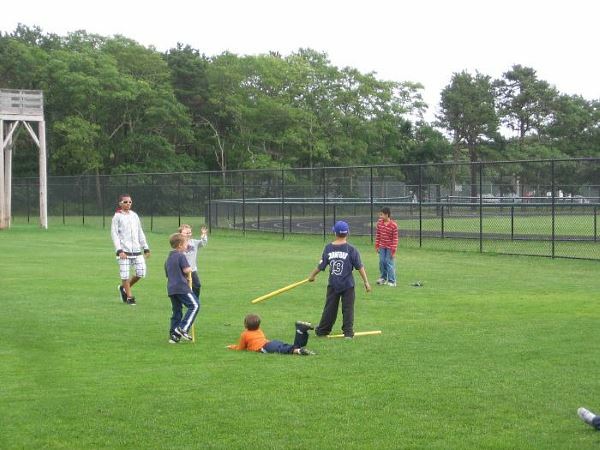 A Cape Cod League baseball game - the quintessential summer fun for the entire family! The "Cape League" traces its roots back to the mid-1800s, when young men organized into village teams, traveling from town to town, playing the all-American game. These were devoted players! History tells that in the 1870s, games were actually played on the ice on Mill Pond in Sandwich. The premier amateur league in the USA, drawing players from the top collegiate baseball programs across the country. 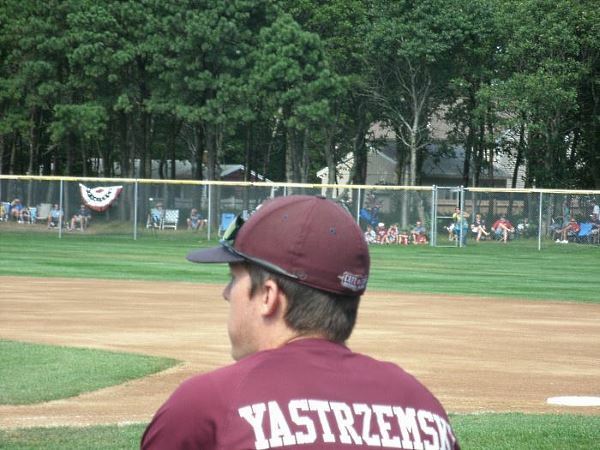 Carl Yastrzemski's grandson, Mike, played for Cotuit Kettleers in the Cape League. Mike was drafted by the Baltimore Orioles in 2014. Today's CCBL players aren't just your average college kids playing summer ball. These guys truly are the best of the best. They come to Cape Cod by invitation, to live, work and play baseball for the summer. And hopefully to catch the eye of the Major League scouts who come to the games in search of the next Babe Ruth. Going to a Cape Cod Baseball League game is the ultimate "small town America" experience. Adults set up their folding chairs or sit on the bleachers, watching the game and chatting with friends. Teens hang by the dugouts and bullpens for an up-close view of the action. Younger kids bring their baseball gear and play on the lawn. And really adventurous fans go high for a birds-eye view of the game! 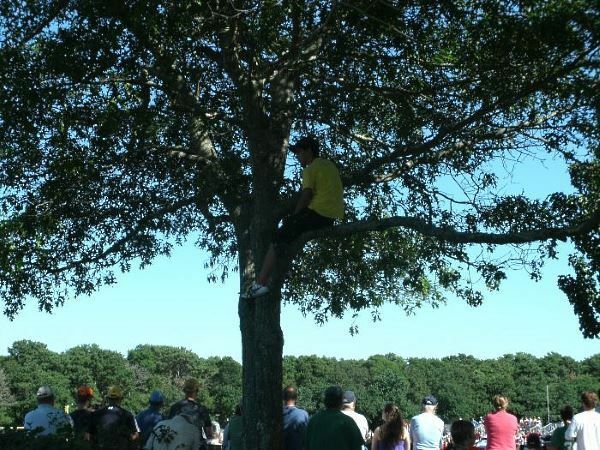 See the guy in the tree? How about that for fantastic (but risky!) seating?! 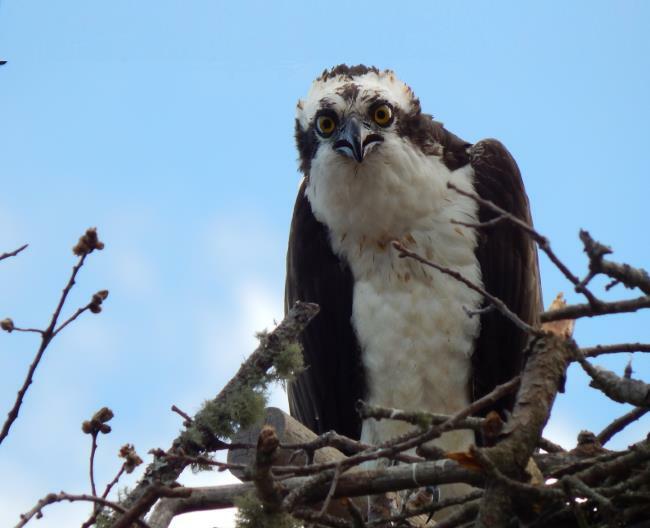 Speaking of a "bird's eye view" ... this osprey has the best seat in the house for Y-D Red Sox home games! Imagine how cool it'll be, a few years down the road, when you realize you have the autograph of a Major League All Star. Your kids can brag that they met him before he became famous! 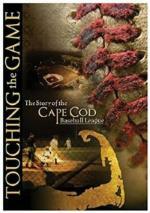 The Story of the Cape Cod Baseball League"
Told by former players, coaches, and "locals" who've experienced the Cape League first-hand, this feature-length movie offers a fascinating, insider's view of a summer in the league. Whether you're a CCBL fan like me, or you're looking forward to seeing your first game while you're here, Touching The Game is a don't miss! 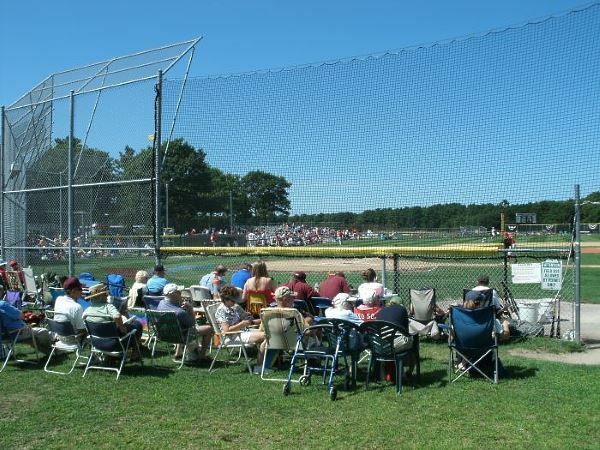 From mid-June to mid-August, Cape Cod League teams play almost every day. With teams in 10 different towns across Cape Cod, it's always easy to find a game nearby! Most games don't start until 5 p.m. or after. So there's no need to make that tough choice: "Beach or baseball game?" 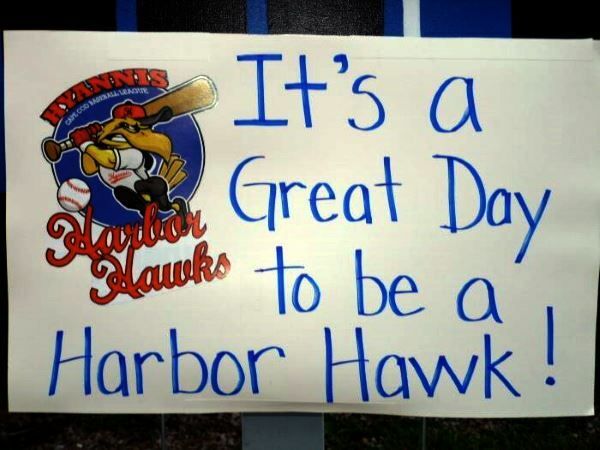 Have a great day at the beach, then head out to the ball field to catch the game. Oh ... have I mentioned that admission to CCBL games is free? 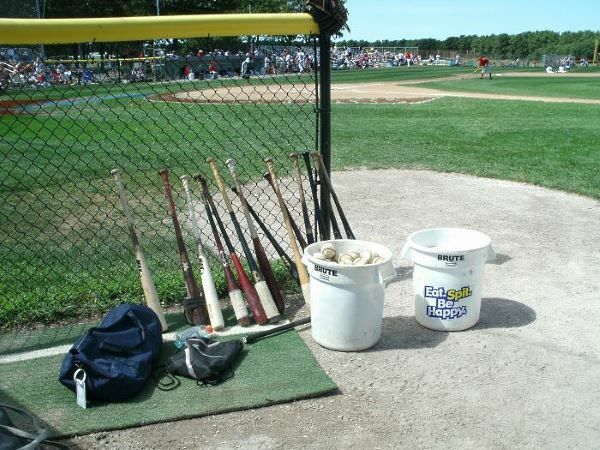 CCBL teams are non-profit organizations, and they appreciate donations to help pay for bats, balls and other team necessities. FYI: The cap-passing is a totally no-pressure thing. If you can give a few dollars or so, great! If not, that's perfectly okay, too. Just come on out to the ballgame and have tons of fun!